How to Use PERT Chart for Project Management. A PERT (Program Evaluation and Review Technique) chart is often used in project management. It can determine a start of a project, and it then depicts branches that represent tasks within the project. This chart is time-based, showing a clear start and completion date, basing all tasks on those dates. The steps below will step you through creating a PERT chart for your next project. Determine when the project will be started and when the project needs to be completed. 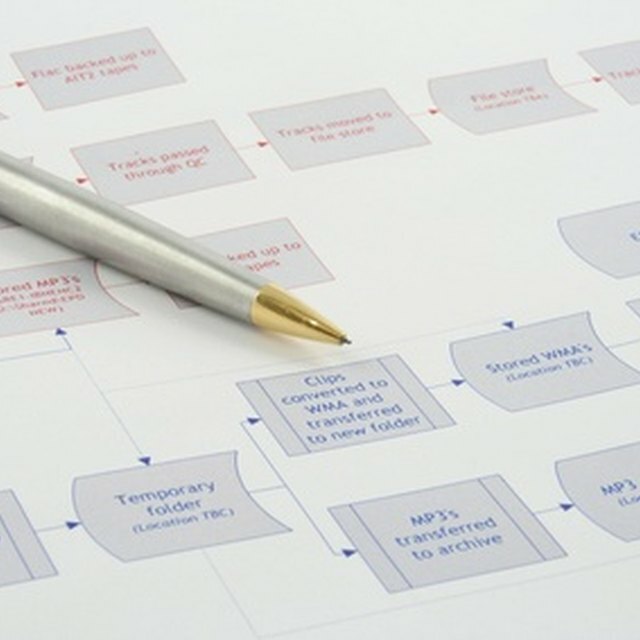 Write down any other important milestones within that timeline so you can consider those as you develop your PERT chart. Write down the activities that need to be completed during the project, and put them in sequential order. Create your PERT chart on paper or on the computer using a charting program. Each milestone will be depicted by a bubble, and each activity is depicted by an arrowhead line. Estimate the optimistic time, most likely time and pessimistic time for completion of each activity on the PERT chart. The optimistic time is the shortest time in which the task can be completed, the most likely time is the completion time with the highest probability and the pessimistic time is the longest time that the activity may take to be completed. Calculate the expected time by completing this calculation: Expected time = (Optimistic time + 4 X Most likely time + Pessimistic time) / 6. Display the expected time for completing each task on your PERT chart. Draw arrowheads to show the critical paths of the project. The critical paths for your project show be based on the expected time and milestones of the project.